Rapeseed is a large, stemmy, winter or spring annual crop. It is related to mustard, cabbage, broccoli, cauliflower, and turnip. Rapeseed is grown for its oil and meal, and as a cover crop. Processing of rapeseed for oil production provides rapeseed animal meal as a by-product. 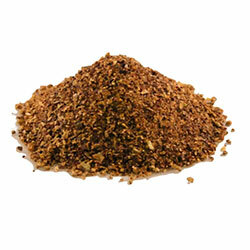 The by-product is a high-protein animal feed. The feed is mostly employed for cattle feeding, but also for hogs and poultry (though less valuable for these). We export the best quality non-genetically modified (Non-GMO) rapeseeds in natural form for our customers as per their requirement.